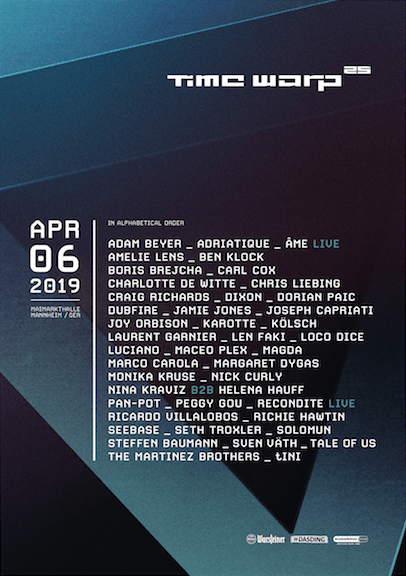 On April 6th 2019, iconic electronic music festival Time Warp will celebrate 25 years in the game by doing what they do best: Uniting 18,000 techno and house fans from all over the world for the longest night of the year. 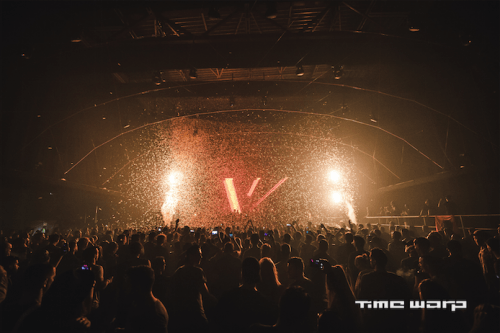 Pulling out all the stops for a celebration to remember, Time Warp is inviting back festival mainstaysDixon, Carl Cox, Solomun, Adam Beyer, Richie Hawtin, Seth Troxler, Nina Kraviz and Laurent Garnier (who played the first ever Time Warp back in ‘94!). As well as inviting heavyweight newcomers who have earned their stripes – feel good house icon Peggy Gou, breakbeat master Helena Hauff and pillar to the UK’s underground electronic community Joy Orbison will make their Time Warp debuts. With an unparalleled attention to sound and design, Time Warp is a spectacle that needs to be experienced to be believed. Returning for 2019 will be techno pioneer and Berghain resident Ben Klock, he’ll be joined by Ibiza mainstay Carl Cox. One of the globes most highly acclaimed producers Dixon, will be joined by German powerhouse Len Faki and Canadian Detroit Techno visionary Richie Hawtin. Known for its legendary back to back sets, Time Warp’s 25th edition will be no different. Techno queen & Trip label boss Nina Kraviz will be going b2b with the acid and electro master Helena Hauff. Heading to Mannheim from London is Hot Creations label boss Jamie Jones and Miami’s finest export Maceo Plex. 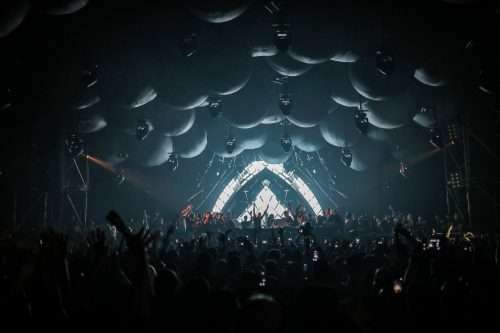 Marco Carola heads back to Time Warp for another year alongside the monumental Seth Troxler and Solomun who’s house selections are second to none. Not forgetting to mention Desolat owner Loco Dice who will also grace the decks. This year’s lineup pays homage to 25 years of making electronic dance music history as well as showcasing international talent which perfectly captures the underground spirit of Time Warp. With longtime artist companions, breakthrough talent acquaintances and fans from all over the world, the iconic festival will once again celebrate the finest house and techno electronic music has to offer. Spread across many different floors, each with its own distinctive synthesis of sound and visuals, Time Warp always delivers the world’s most respected artists, jaw-dropping visuals and incredible production. 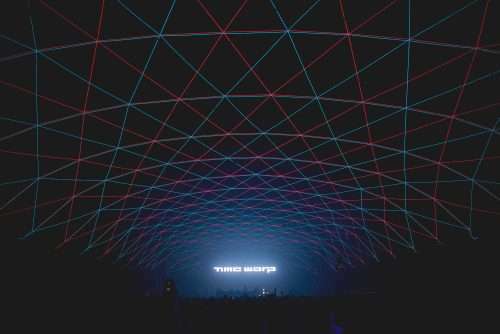 Time Warp is a must tick on the techno bucket list, famed for its unparalleled attention to design and sound – festival goers will be immersed in the audiovisual experience Time Warp has to offer. A longstanding player in the techno scene, Time Warp is an absolute must for any techno aficionado. 18,000 ravers from all over the world will be on board to celebrating 25 years of making people dance – make sure you are one of them. It’s easy to get there, Mannheim is a short train trip from Frankfurt airport – easily accessible from all major European airports. Flights from UK start at just £70. With a plethora of accommodation choices to suit style, size or budget there will be something to suit everyone.